What is it? 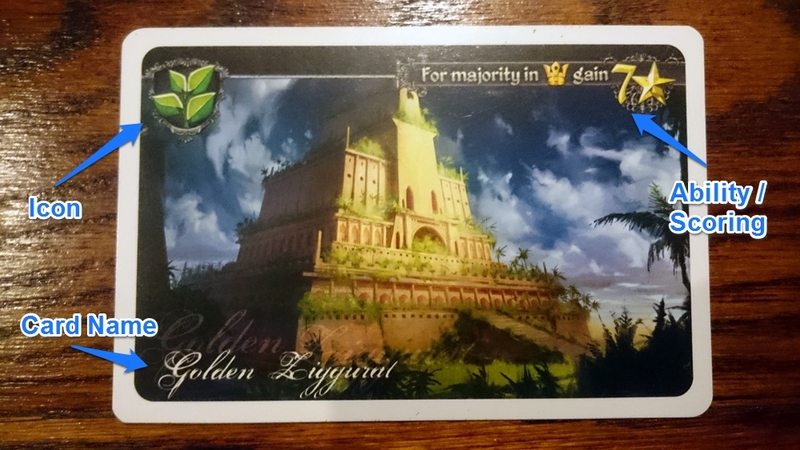 In this 2-player drafting game, you build a civilisation over 3 rounds, while deciding which elements carry over from age to age that will give help give you the most victory points. 18 cards. I don’t think you need to look further for a definition of a “micro” game than Tides of Time from Portal Games. But can it make a big impression? Documented here is my history with Tides of Time – something that began with curiosity, developed into a strong dislike, and then, well… you’ll see. It was a Saturday morning earlier this year, and I was visiting my FLGS – in the search for something more sedate I could use for small gaming sessions with family (my recent purchases at that stage included Summoner Wars Alliances, Mission Red Planet and Fury of Dracula). After picking up Concept and Patchwork, I took another browse through the shelves, and came across a little drafting game I had heard of previously, but never researched. And that’s important to note, because… I research religiously. Every gaming purchase I make is backed by at least 2 hours of watching videos, reading reviews and forum comments (which is why I mostly end up with games that I love, though there have been….exceptions). So I made an impulse purchase. In the back of my mind I had been looking for a quick and accessible 2 player game for a while, and while I had a small drafting game in Sushi Go, I never really connected with it. 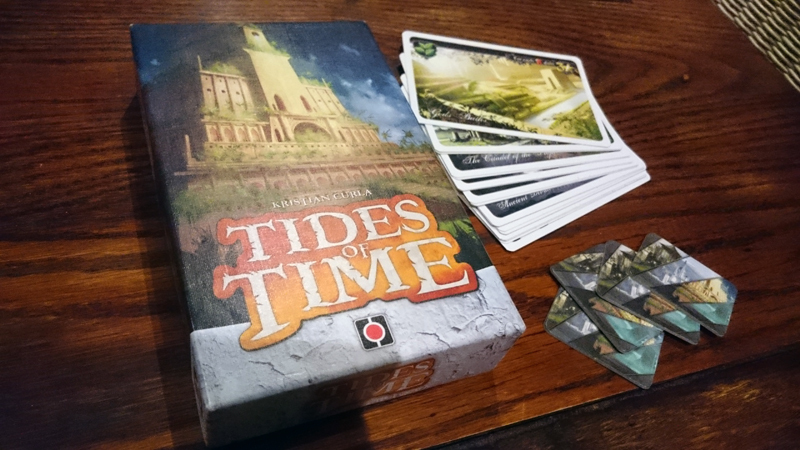 In Tides of Time, each player is aiming to build up a kingdom over three rounds, by drafting and playing cards representing monuments, knowledge and other aspects of your budding civilisation. Each of these cards has a different ability, which when played will give you victory points in an attempt to outscore your opponent, or you might gain a new skill. As you progress to a new round or phase in the legacy of your ancient culture, you will be taking along one of your cards as a “relic” that poses as a base for your ever-growing civilisation. In the above example, “The Golden Ziggurat” will give you 7 victory points if you end the round with the most cards with the Palace icon. The game starts with each player being dealt 5 cards to kickstart their civilisation. After studying your cards and picking one, you pass the other cards to your opponent. After both players have chosen a card, each reveals their chosen card. Then the process starts again with the 4 remaining cards – pick a card to keep, hand the balance to your opponent. This repeats until all the cards have been chosen. At the end of the first round a scoring phase occurs, with players following the scoring abilities on each of their own cards, and calculate how many points they scored that round. 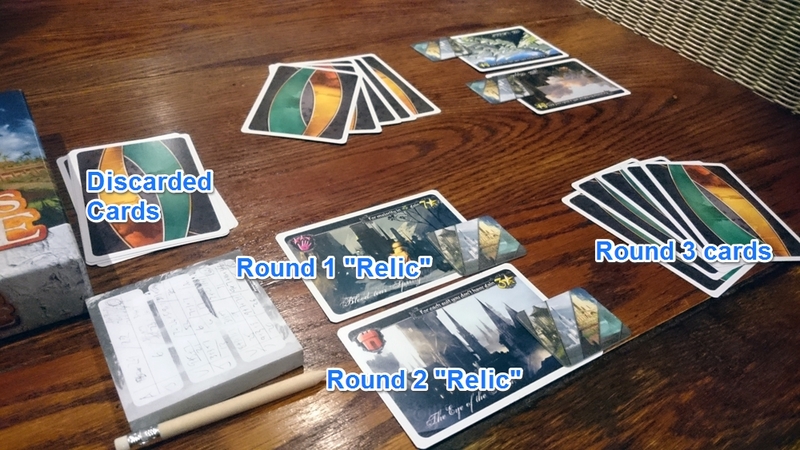 Then each player selects a card they wish to keep in play for the rest of the game (a “relic”, which will be placed face up and with a relic token on top), and a card that you wish to completely discard from the remainder of the game. With each player having 3 cards, 2 more are dealt out so that each player starts the new round with 5 cards again. The same rules apply to round 2 and 3, with the last cards in the deck being dealt to finish round 3. So. I did mention up top that I disliked the game when I played it the first few times. That I can now reveal is a lie, because really, I hated it. Reason? I lost my first few games terribly. And I’m talking about being outscored at a ratio of around 2 or 3 to my 1. Even though Tides of Time is a simple game, I didn’t feel like I really “got” it (much like Japanese music videos). Yet I persisted, intrigued to see if I could crack it. And then one day something finally “clicked” for me, though it’s hard to pinpoint what that was exactly. I was able to better identify which cards are better for me, I started making better choices, and eventually ground out some wins. The more I played, the more the game improved. What started as an exercise in frustration, turned into a great, quick-playing experience with surprising depth. But don’t let the word “micro” fool you or possibly throw you off. What is impressive, is the amount of game that can be found here in only 18 cards. Sure you have a few more components (the relic tokens, a scorepad and a pencil), but the whole game and its longevity revolves around the use of only 18 cards. 18 oversized, well drawn cards. And somehow, that works. There are a few niggles though. The story sounds grandiose but the theme doesn’t really stand out. As for gameplay, I found the very first card selection stage in the first round to be a bit hit and miss. At this stage you only know the 5 cards you have in your hand, and you’re about to hand 4 of those away. You’re choosing a card which might not be compatible with the cards your opponent is about to hand over to you, so which card do you start your kingdom with? Selecting bad cards will lead to no scoring benefits at the end of the round, which feels very wasteful. Those negatives detract very little from my overall enjoyment of the game. The gameplay shines, and there’s more to it than building your own civilisation, carefully selecting which cards are right for you. You have to consider that each card you’re not selecting, is being handed over to your opponent, and it’s crucial to guess his or her strategy for the round. 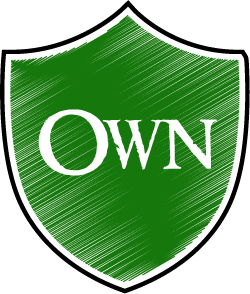 Each time you decide on a card, you’re not only building your own empire, but you’re keeping that card away from your opponent. Throughout the three rounds you’ll need to make decisions to limit your use of these madness-infused locations – if you end up with too many cards with madness icons, you automatically lose the game. 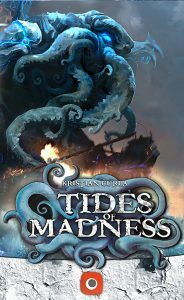 This element adds a nice touch to the theme, and another layer of strategy if you found Tides of Time a bit too simple for your tastes (we certainly prefer Madness). A great 2-player experience, with a surprising amount of depth for a micro game. It's become one of my "go-to" titles at work to drag colleagues into a quick game or two.